Software Adaptation is a non-intrusive solution for composing black-box components or services (peers) whose individual functionality is as required for the new system, but that present interface mismatch, which leads to deadlock or other undesirable behaviour when combined. Adaptation techniques aim at automatically generating new components called adapters. All the interactions among peers pass through the adapter, which acts as an orchestrator and makes the involved peers work correctly together by compensating for mismatch. Most of the existing solutions in this field assume that peers interact synchronously using rendezvous communication. However, many application areas rely on asynchronous communication models where peers interact exchanging messages via buffers. Generating adapters in this context becomes a difficult problem because peers may exhibit cyclic behaviour, and their composition often results in infinite systems. 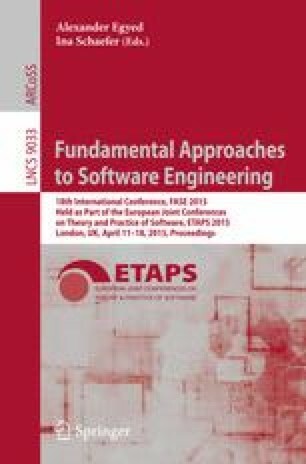 In this paper, we present a method for automatically generating adapters in asynchronous environments where peers interact using FIFO buffers.